Are your clothes drenched at the end of a wash cycle? Or still soapy or spotted? 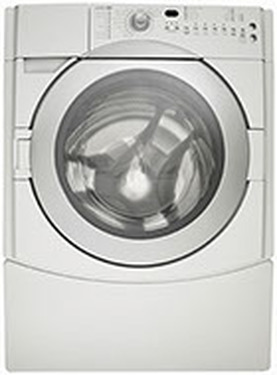 Is there water leaking out from underneath your washing machine, or is your washer just completely dead? If you’re experiencing any of these problems, it may be time to call a repairman. Here at Edgeworth Appliance, we have more than 55 years of experience repairing your washing machines and other appliances. Our technicians are experts in their field. Our work comes guaranteed and we offer parts at twice the warranty as manufacturers. From Whirlpool to Kenmore, Maytag to GE and more, we service most all major washing machine brands and do so at industry-low rates. … Give us a call. There’s no question we can’t answer, and no problem we can’t fix.